For many who serve, relics of the war machine became souvenirs upon their return. 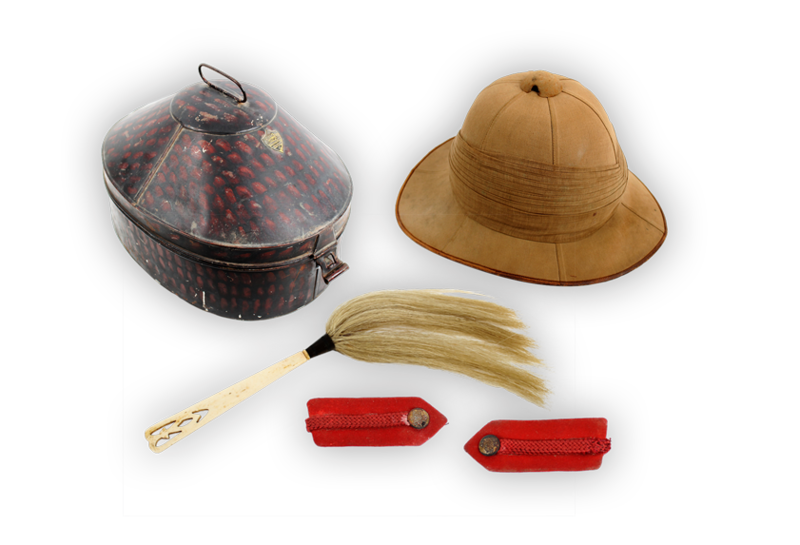 These mass-produced, mass-issued items including uniforms, supplies, tools and weapons now form a substantial component of many war heritage collections. The standard equipment of war plays a pivotal role in shaping experiences at the front and its preservation can help us better understand how this has changed over time. Three Australian warships have carried the name Sydney. Following the tragic loss of HMAS Sydney II and all 645 crew members in 1941, the ship that was to become HMAS Sydney III was handed over to Australia by the UK in 1948. From 1965-1972 the ship was committed to ferrying troupes to and from Vietnam, earning its nickname – the Vung Tau Ferry. Air Raid Precautions (ARP) were a pervasive feature of life on the home-front. Extensive exercises were carried out in Melbourne during WWII to prepare civilians for attack. Warden's were trained to advise locals, supervise blackouts and manage responses to possible bombings. Gas masks were issued to both servicemen and civilians during World War II to protect them from inhaling toxic chemicals. This mask is typical in design, made from black rubber, with glass eye slots and metal rims and filter. The No. 36 Mk I hand grenade, also known as the Mills Bomb, was the standard issue hand grenade for Australian and British Armed Forces during the Second World War, up until 1972. This standard prismatic compass was issued to troops during World War I. It's circular body is made from brass, oil filled bakelite and glass. Pocketbooks were issued to all Australian and New Zealand troops serving in Vietnam. They contained information about the country, its geography, history and culture, as well as covering topics such as training, military courtesy, writing home and badges of rank. 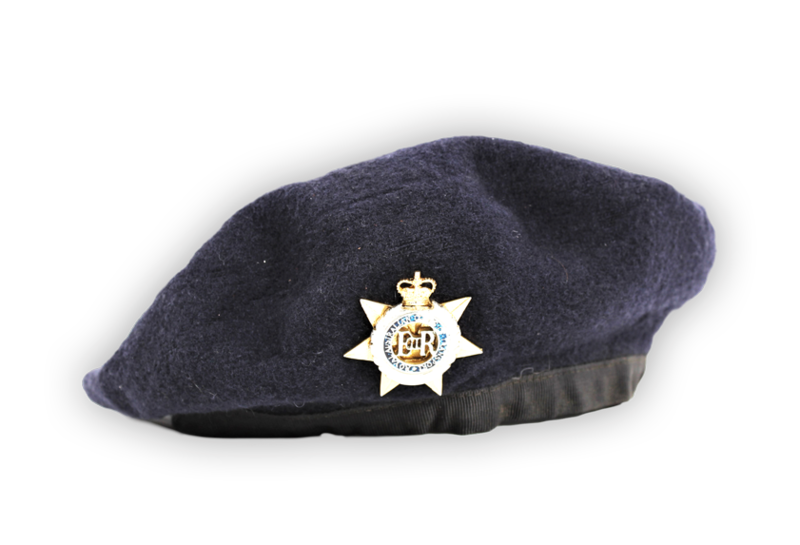 This woollen beret belonged to a member of the Royal Australian Corps of Transport. Formed in 1973, the RACT are responsible for the movement of the army - land, air and sea - in peace and in war. 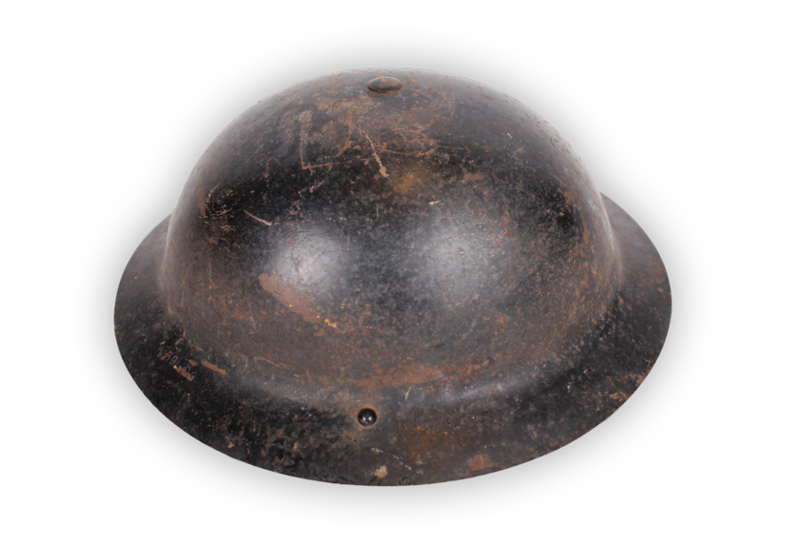 Percussion caps like this one were produced in Galt, Canada, for allied munitions during WWI. This cap would have been attached to the end of a shell and provided the ignition to cause the shell to explode. It has a small arrow in a circle on the base which indicates use in the Australian Military. The slouch hat was first worn by the Victorian Mounted Rifles in 1885 and has since become an AIF trademark. 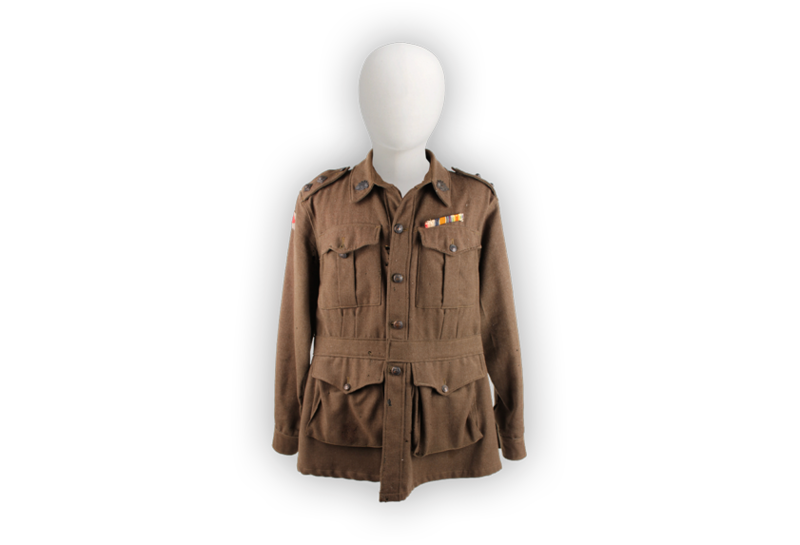 Deeply entrenched in our military history, it is perhaps the most recognisable object associated with the legend of ANZAC. First aid kit tins were issued standard to each serviceman across all conflicts. This particular kit appears to have been issued in the 1950s or 1960s. This winter uniform, still current, is worn by Junior Sailor's in the Royal Australian Navy (RAN). It is used for working and everyday wear. 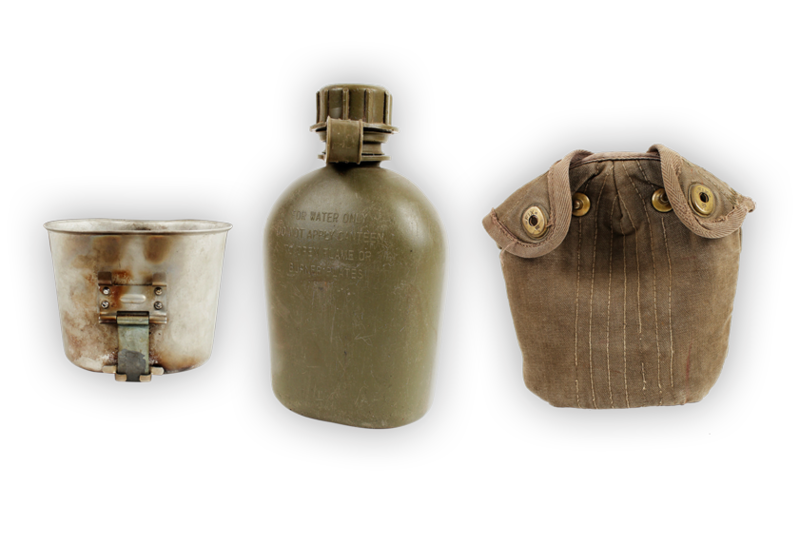 This kit contains the standard type water bottle, canvas cover and aluminium cup issued to American and Australian troops in the Vietnam War.